There’s no doubt that we love robots here at Epworth, you might even pass one of our assistant robots that wander the halls delivering equipment to our surgical theatres! We invest in robots to assist our surgeons because they make a huge difference to the lives of our patients. From keeping procedures as minimally invasive as possible, to making new procedures actually possible. We were the first hospital in Victoria to install the da Vinci surgical robot in 2003 and just a few months ago we performed Australia’s first paediatric robotic surgery on a beautiful girl named Freyja. Her tumour was deemed inoperable until they were eventually referred to Dr Ben Dixon at our Richmond campus. Supported by the generosity of the donations to the Epworth Medical Foundation, we’re excited to announce our investment in six new da Vinci robots! In addition to giving our patients even better surgical outcomes, these robots will strengthen our ability to play a significant role in clinical research and training that will result in further advances for our patients. Once these new robots are installed, we’ll have the largest number of da Vinci systems in a single state of any healthcare group. 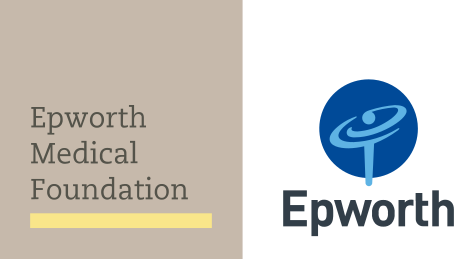 You can learn more about the Epworth Centre for Robotic Surgery here. Thanks to the incredibly generous support of La Trobe Financial, we've been able to purchase this equipment for our patients and surgeons. The gift from La Trobe Financial is one of the largest gifts ever received by Epworth HealthCare and is a reflection of La Trobe's desire to support their community. We’ll keep you updated on the delivery, but in the meantime here’s a video of a surgeon stitching a grape back together with a da Vinci robot!